It's summer! Things are planted and blooming, you want to be outside in the nice weather, and you're keeping up proper watering practices, of course. So proper, in fact, that some plants have grown a little too happy and need pruning! 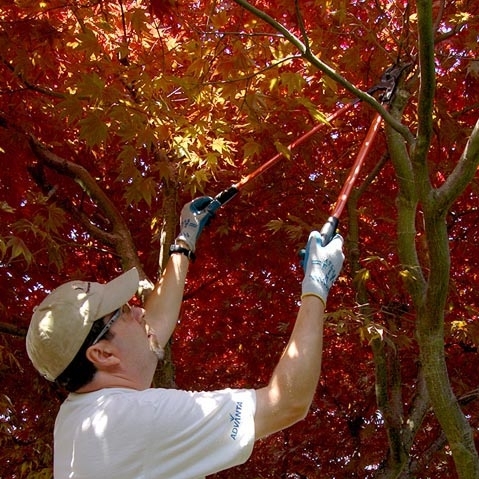 Pruning trees, shrubs and perennials in summer is largely about housekeeping. Rather than major thinning and shaping (as we might perform in winter) or stimulating new growth (spring), we are dealing with clutter and overgrowth from the growing season and keeping it from getting too dense or too far out of hand. Not to mention, we are making them look good to enjoy on those golden summer evenings. Repeating what we mentioned for spring pruning: if you find that you are cutting back overgrown plants every year, consider moving (best in winter) or removing some. They may just have grown too large for the chosen spot. This is looking at the Big Picture: the concept of Right Plant Right Place. It's better to sacrifice a plant or two for a more harmonious garden, rather than doing battle with it every year. Some plants can be thinned in mid-summer (after about the 4th of July), when most growth has typically slowed. Branches can be redirected or headed back from their overreach into neighboring plants or structures. Some plants need a combination of thinning and heading. 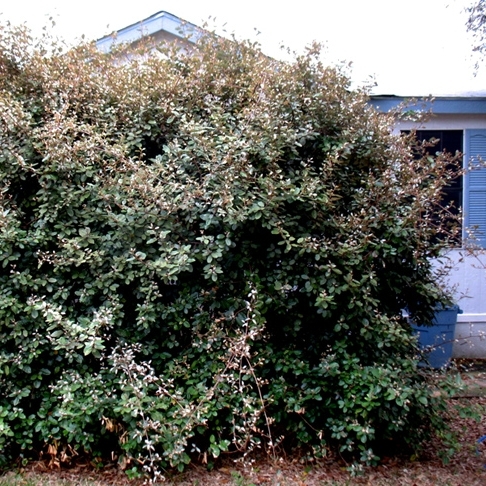 It's a perfect time to remove aggressive shoots on trees and shrubs with suckering tendencies, also a good time to lightly shear hedges. Fruit trees can often use light thinning to allow more sunlight and air circulation into developing fruit clusters. 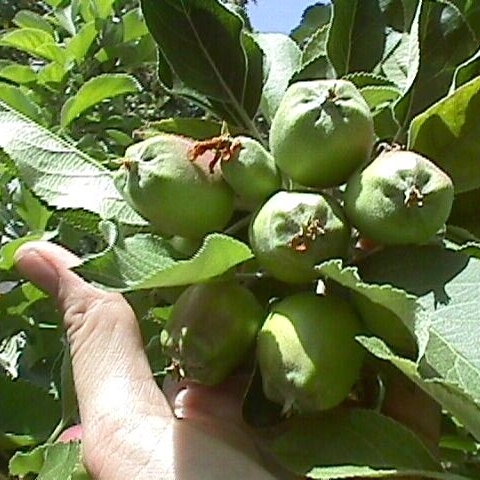 Some fruits, such as apples and plums, benefit from having their clusters thinned as well (best when fruits are about dime-sized), to grow larger individual fruits. Roses and other flowering plants may also use some thinning for sunlight and air, not to mention cutting for arrangements or deadheading (removing spent flowers). On summer or fall blooming plants, such as hydrangea or abelia, it's okay to thin out wild shoots, but don't do major heading back, lest you cut off most of your blooms! With everything more active in summer than fall or winter, be aware of fragile small plants, insects, birds and other critters around where you are working. The later in summer, the more spider webs you're likely to tangle with. You can walk through the areas you're about to work, and sweep the webs out of the way with a small rake, broom or stick. The spiders will rebuild, of course, hopefully after you are done pruning. As with any summer activity, take all the necessary personal precautions for sun exposure and hydration. Need to brush up on the basics of thinning, heading and other pruning principles? Or see a list of which specific plants to prune when? Kathy Boullin provides those answers in her post, Pruning 101.